Did you know that you don’t have to be a huge blogger to make money blogging? You can learn how to make money with a new blog. 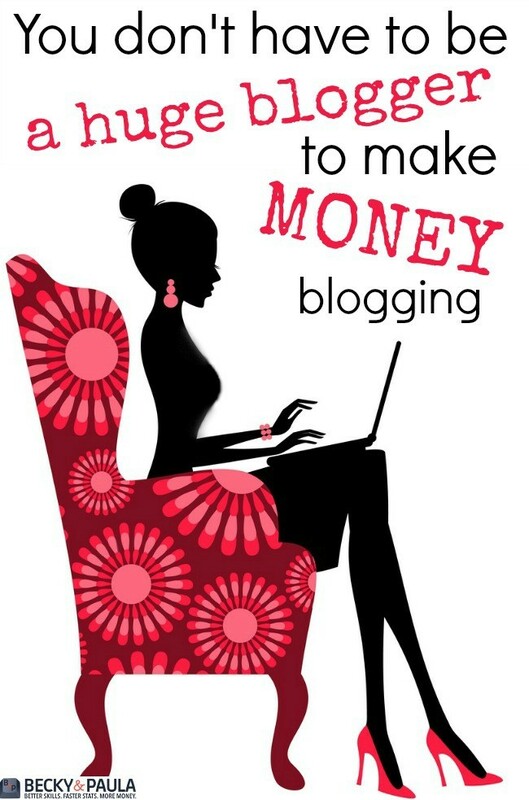 You can monetize your blog today… right now! We want you to know that you can earn a real income blogging. This year alone, I have earned well over what I thought was possible … this is the year is #3 for me and for my blog, Your Modern Family. That income does not include this page or any blog teachings. It comes from having a blog and growing it, just like you are going. From scratch. If you looked at my blog, you would see that my Facebook page isn’t giant. Neither is Paula’s. We do not have GIANT fan bases. We aren’t huge in our Facebook fans (yet) and yet we are all making a lot of money on our blogs- enough to support our families with our blog income. The size of your fan base and blog aren’t the only things that matter. tip – grow your social media following easily with this tool! We’ve been using MiloTree for YEARS and love it as an easy way to grow!!! What DOES matter is how well you spread your content around and how well you write and how well you promote yourself. What does matter is that you are writing viral-worthy content. What does matter is that you are bringing your readers back, until guests become loyal fans. I heard once that you have to put in your time blogging, that you have to blog for several years to make a good amount of money. That just isn’t true. I was making a lot of money within a year. To give you an idea of growth… Within 6 months, I was making $250 a month. By 18 months, I was earning more blogging than I had made teaching. It continues to grow yearly.. It has grown more than I ever expected, each year. It is now year 5 and my goal to hit 7 figures a year is looking like a very reasonable goal. The key is just learning what you need to do very early on (to take advantage of your time). I wasted months with bad posts & terrible (small) pictures before I realized what I needed to do. I studied blogging like I would study for a college course and I learned a LOT my first year and it is paying off, thankfully, because it was a lot of time AT THE BEGINNING. That is why we have this blog, so you don’t have to look for places to study- we have it all right here. I want to offer a little encouragement to say that even a small blogger can turn their blog into a financial blessing for your family. First off… ConvertKit – sign up for this ASAP. It is what I wish I had done early on in my blogging career. It means that every time that someone visits your blog, they have the option of giving you their e-mail address. You want this! Next- make sure that you are signed up with companies that will pay you to post a blog! Here are a few that I love… You can sign up for these by clicking on the affiliate links below. TapInfluence (probably one of my FAVORITES!) They really let you get creative! AFFILIATES of companies: Shopstyle, Etsy, other bloggers. You can barter for free things. Products. Vacations. Clothing. Kitchen Appliances. I seriously can’t begin to tell you how many free things I have gotten since blogging (vacuum cleaners, clothing, toys for the kids, books galore, kitchen appliances, foods, etc…).I actually usually get two of these things- one for me and one for a giveaway. When I first started blogging, I blogged for the product. Now that I have more traffic (I am currently at 3 million PV a month) I will share a tweet in return for a product. If they want a post, I charge a fee.Remember, you can charge whatever you want. Maybe $5 for a social media share and $50 for a post? Maybe the product is worth enough to post alone. Maybe $500 a post. You decide based on your influence. You will soon find out how accurate your rates are, by how many people say yes. You can learn how to pitch brands kit and how to keep them coming back to you. The question that I get asked a lot: How can I tell if I should charge or share for free? If I am contacted by a company directly and they offer a product: -If the product is valued at over a certain amount of money (maybe a vacation or a great vacuum that I’ve been wanting), I will post about it for free if I really believe in it. You need to set your own limit for this.If it is something that I’m not really “needing”, I will ask for monetary compensation on top of the product. If I can use a recipe or something from the product (ex: book), I will post about it for free, using their idea, because they are really supplying me with a guest post ~ I usually include an affiliate link for it. (See an example of this here: Devotional activity using play dough – I received this book for free, but she gave me permission to share on one of her ideas, from the book, as a post, so it was a win-win) If they contribute a guest post (with a link back to their page) that is relevant to my readers (and helpful!) and does not sound like a commercial, I will post it for free. Become a Virtual Assistant – like a secretary that works online only. You schedule things on Facebook, you pin, you write. Become a freelance writer! One of my blogging friends is a ghostwriter. She is paid several hundreds of dollars per week to write content for OTHER bloggers. She just googles freelance companies and signs up to receive their emails with current jobs. You can take an AMAZING course on how to start freelance writing here. Apply for a sponsored post like you are applying for a job! My most recent example of this is Sverve. They recently posted a job and I thought that it would be really fun to do, so I applied for it and I was very honest. I told them exactly why my post would be great and why it would benefit them to hire me (in the nicest way!) You really have to sell yourself in the blogging world because you are working for you. Show them your strengths! You are amazing, so let them see that! You are your own voice and if you don’t sell yourself… no one else is going to. Yes, it’s possible to earn an income blogging. Yes, it’s possible to make enough to quit your job and have your spouse quit their jobs. 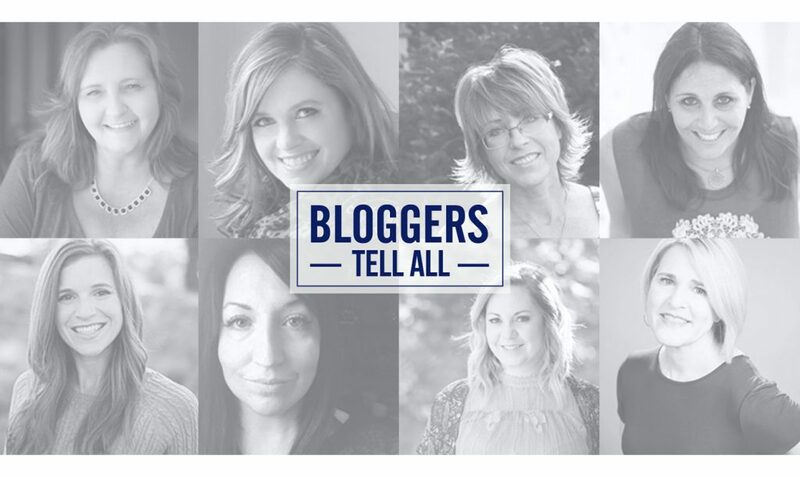 The women in bloggers tell all did it & they are teaching others to do the same. Nothing is off the table… they literally TELL ALL. For more tips on how to make money blogging – NO MATTER WHAT SIZE YOUR BLOG IS – check out the Profitable Blogging Framework. It includes over 50 videos from some of the top bloggers in the nation. Each video dives deep into a different aspect of what it takes to build a profitable blog. No matter what your blog’s size, this framework will help you create the blogging business of your DREAMS. See more info here. Hi! I am continuing my series on making money on your blog. So far we’ve covered Social Spark, Linqia & Sverve. Today, we cover freebies for bloggers. I wanted to share my post today, from my personal blog, Your Modern Family. My post is about all of the places that you can get freebies, but I wanted to share it with you because most of them are for bloggers. So, for example, I am sharing the link to shutterfly. I used my affiliate link, so that means that someone can now click on the shutterfly link and if they buy anything, I will make a percentage of that sale. Most of the websites that I am sharing has affiliate sign-ups. Plus, you can get the freebies for yourself, so it is really a great way to get freebies to review. So, without further ado, head over to Your Modern Family & check out my Master List of Freebie Websites & start making money on your blog! ps- if you want our advice on how to make more money on your own blog, or have any other questions about how you can make your blog even better, check out our YOUR BEST BLOG service.